EnjoyUp Games has been a prolific developer and publisher on Nintendo's portable download platforms, and also notably brought the long awaited La-Mulana to WiiWare in the West. The company announced earlier in the year that it was working on unannounced projects for Nintendo's current home console, and has now given us a glimpse of the first in line. Currently codenamed Project Aguraki, EnjoyUp Games has told us that this shmup will be using the Unity graphics engine, which has been prominent in Nintendo's efforts to attract smaller developers. There are also two screenshots, above and below, alongside two very short videos showing the game in action. A brief teaser then, but we'll follow up and try to learn more. To date only Nano Assault Neo has delivered a shmup experience, and that incorporated Shin'en Games' ground-based 3D environment concept. Project Aguraki looks like a more traditional side-scrolling experience at this early stage, so let us know what you think. Why do people insist on saying "Shmup"? It's almost as bad as "SNEZ"..
Looks great, but another game not coming out anytime son. Wii U eshop needs new games ASAP. Developers who can get their game onto the system now will have a lot less competition to worry about. Don't want rushed games, but do want games. 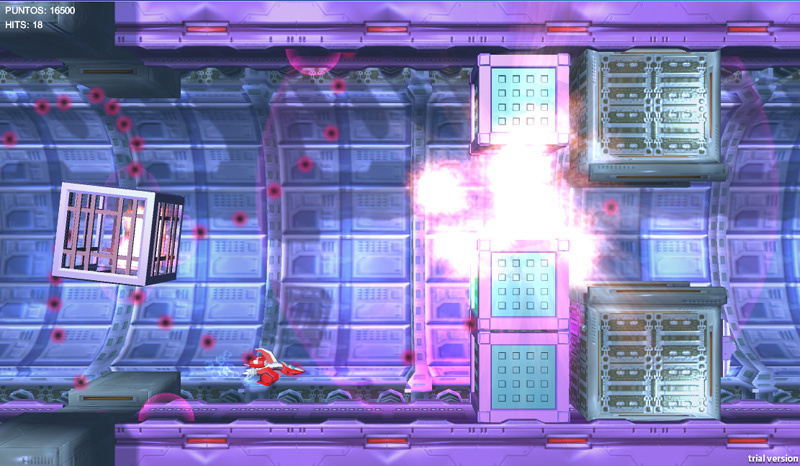 @Cohort Becaues "Shoot 'em up" has too many damn letters when you're trying to blow stuff up. Oh, the memories of playing R-Type in my old Master System. Will definitely keep an eye out for this one. You had me at Shmup. On a somewhat unrelated note, whoa, La-Mulana got a 10/10 from Nintendo Life? Is it really that good? I might just have to download it on the Wii mode of my Wii U. @Shiryu I like to blow things up with style, grace... and if possible a grammatically correct term or parlance.. Unless this turns out terribly, I will likely pick it up. I'm a sucker for a shoot em up! Looks GREAT! Always down for some shmup action and this looks fun. Im baffled noone noticed that Aguraki = Ikaruga spelled backwards. Bodes very well indeed. @Gowap I noticed it mere moments after I saw the title. Admittedly, it's not so obvious to those who forgot about that specific Sh'mup. Anyways: Video game. Sh'mup. Nintendo systems. Good. That's really all I have to say on the matter. @ricklongo Yes La-Mulana REALLY IS that GOOD! I've been playing video games for over 20 years and I can say without a doubt La-Mulana is on my top 5 video game experiences list of all time!! On topic now. The early development for this game is looking promising. @ricklongo Yep. La-Mulana is FANTASTIC. i'd love more shooters, but this doesn't look too hot right now. 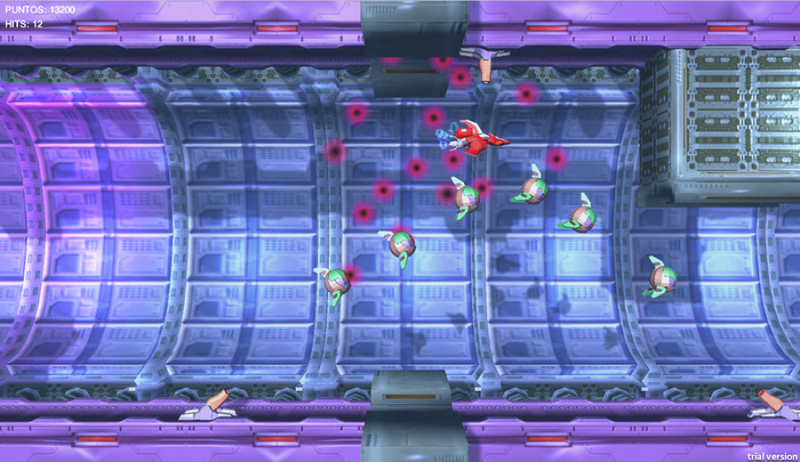 I really like shmups, but I see this (version) has a major shortcoming: the bullets blend very badly into the background. Can people stop saying "Shumps"!! Gotta rep for the shmups lets get it !! !